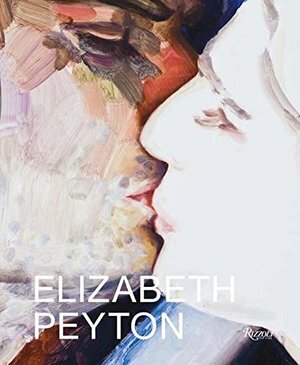 This beautiful volume focuses on a five-year period in Elizabeth Peyton’s evolving career to suggest not only a visual chronicle of an age, its heroes, heroines, and interests, but also of an individual’s life—that of Peyton herself. Elizabeth Peyton’s work has been renowned since the early 1990s, when she began exhibiting her paintings and drawings of artists, musicians, historical figures, and friends. This new volume, prepared by the artist in collaboration with designer Brendan Dugan, founder of Karma bookstore and gallery, presents a concentrated view of a period bookended by two exhibitions in Brussels, one in 2009 and the second in 2014, a time of introspection, and the development of a more personal painterly language. This phase of Peyton’s work is about a new realism and a considered situating of her interests and passions in relation to her own working practice. We see her range expand to take in lush still lifes composed of books, flowers, and fragmentary interiors; expressive, blooddrenched scenes drawn from Richard Wagner’s operas; and many magnificent and subtle portraits of peers and mentors, historical or present-day. From David Bowie to celebrated tenor Jonas Kaufmann; from Delacroix and Giorgione to Peyton’s artist peers such as Matthew Barney and Klara Liden; from Friday Night Lights actor Taylor Kitsch to tattoo artist Scott Campbell, as well as numerous self-portraits, her work is about narrowing the distance between the self and the object of fascination. “They are people expressing what it is to be human. Most art that’s any good is trying to do that—trying to put a voice to feeling. And in particular, the feeling of their time,” writes Peyton.